Αν αυτό που ψάχνετε είναι ένα ξενοδοχείο σε καλή θέση στη Μπαλί, μην ψάχνετε πέρα από το Hotel Zia Bali - Seminyak. Από εδώ, οι επισκέπτες μπορούν να έχουν άμεση πρόσβαση σε όλα όσα η πόλη έχει να προσφέρει. Με την βολική του τοποθεσία, το ξενοδοχείο προσφέρει εύκολη πρόσβαση στους προορισμούς της πόλης που πρέπει οπωσδήποτε να δείτε. Με τις υψηλού επιπέδου υπηρεσίες και την μεγάλη ποικιλία ανέσεων, το Hotel Zia Bali - Seminyak δεσμεύεται ότι η διαμονή σας θα είναι όσο πιο άνετη γίνεται. Για να ονομάσουμε μόνο λίγες από τις εγκαταστάσεις του ξενοδοχείου, υπάρχουν τα 24ωρη υπηρεσία δωματίου, δωρεάν WiFi σε όλα τα δωμάτια, 24ωρη φύλαξη, ημερήσιος καθαρισμός, ταχυδρομική υπηρεσία. Επιπλέον, όλα τα δωμάτια διαθέτουν ποικιλία ανέσεων. Πολλά από αυτά παρέχουν ακόμη και πετσέτες, κρεμάστρα ρούχων, επίπεδη τηλεόραση, καθρέφτης, σύνδεση internet (ασύρματη) προκειμένου να ευχαριστήσουν ακόμα και τον πιο απαιτητικό επισκέπτη. Κατά τη διάρκεια της μέρας μπορείτε να απολαύσετε την χαλαρωτική ατμόσφαιρα των υδρομασάζ, εξωτερική πισίνα. Έξοχες υπηρεσίες και μια εξαιρετική τοποθεσία κάνουν το Hotel Zia Bali - Seminyak την ιδανική βάση από όπου θα απολαύσετε την παραμονή σας στη Μπαλί. We stayed in January 2019, the hotel in clean, room cleaned daily and was a very comfortable accomodation, excellent shower, fridge and kettle. 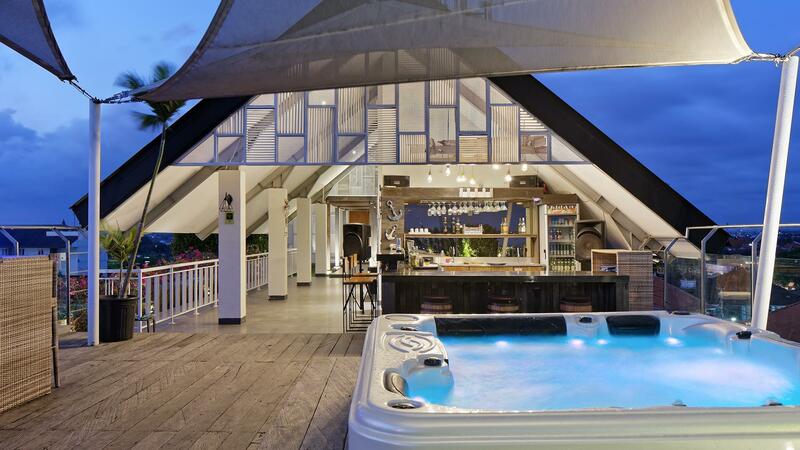 Jacuzzi and bar on roof is a nice additive for a relaxing oasis. Staff were forever smiling and accommodating, location not ideal but central, and taxis are cheap. 20 mins walk to beach. Good value for money, restaurants nearby cater for all tastes and budgets, although affordable to eat in hotel. Only thing seeming to lack was evening entertainment in resteraunt to add atmosphere which could be easily achieved. Enjoyed our stay and would reccomend. Daun Bali was a great hotel! We came without much expectations but the staff was very friendly and helpful throughout our stay. The hotel’s jacuzzi and pool was great, food was affordable and good. Room cleanliness was also well taken care of. Overall recommend, will not hesitate to book with them again when I revisit Bali. Room was good, comfortable, quite clean. Minimalistic. Higlight was the sofa by the window. Good for relaxing and reading time. Love the minimalistic color. Bed was comfy. Found some spots on the pillows and also on the towels. Roof Top view was awsome. Check in staff can be friendlier even if the guest is not foreigners. Good enough just for sleeping in but service wise could be improved. I guess you get what you paid for the price. It was quite difficult to find it at first, since the signboard was covered by a big tree in front of the hotel. 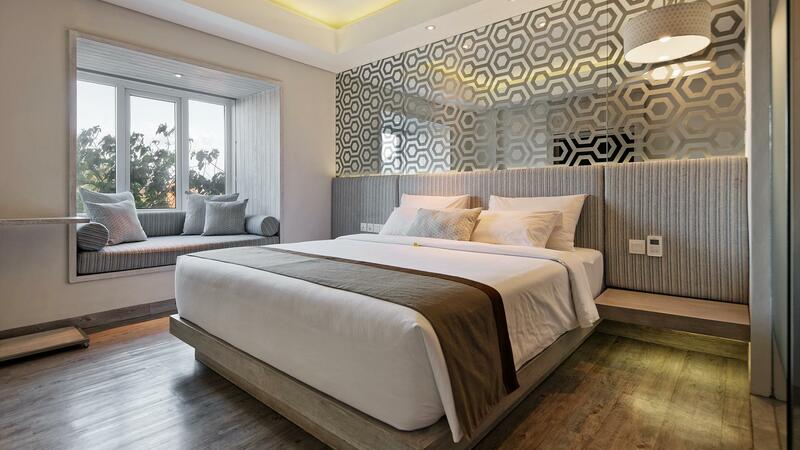 The location was just perfect, close from anywhere you want to go in Seminyak Area. It was all 10 minutes drive anywhere. The room was quite spacious for 2-3 people. It has a super comfy bed, super comfy and cute couch, and spacious bathroom. In walking distance you can find some cute breakfast spot like Monsiour Spoon, Livingstone, etc. There was also a very nice daily spa spot (Sundari Seminyak) right across the street. I didn’t book for room with breakfasf so i can not comment on that. If you only want to chill at hotel, they alao have very nice rooftop with Jacuzzi and some beanbags to enjoy the sunset. 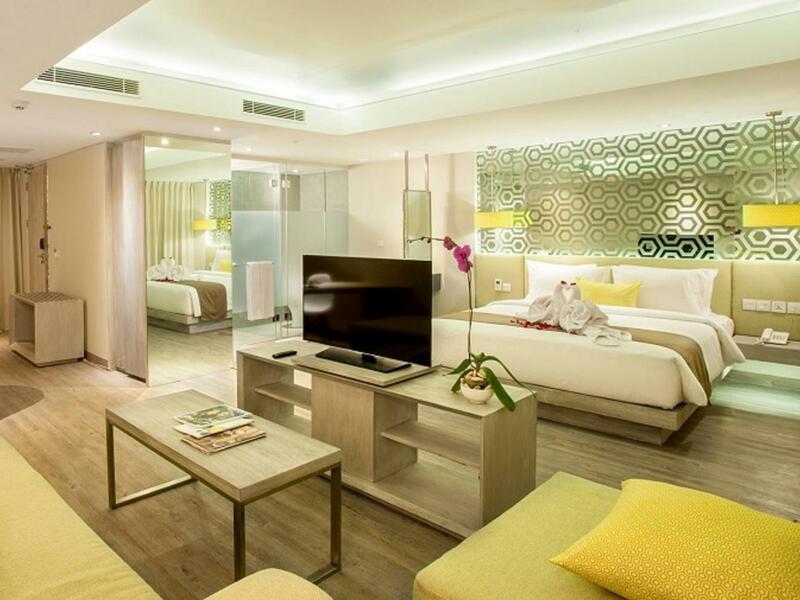 I’ve paid the most worth it price for a nice stay in the middle of Seminyak. 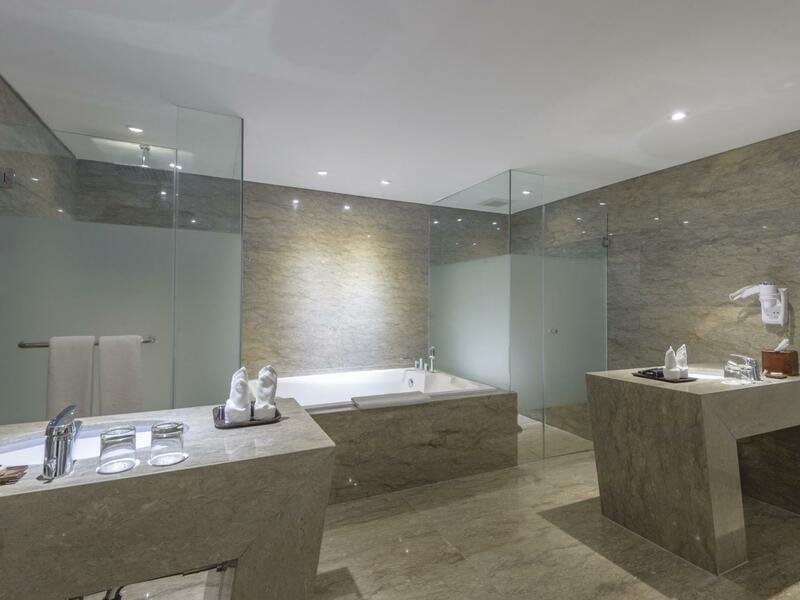 i would definitely book this hotel again as its really value for money, bedroom is nice, very nice bed, i slept soo well and its very comfortable, nice rain shower type of shower head. the top jaccuzi is nice ambiance (we didnt try it though as not enough time). We were accommodating our guests for our wedding in Batubelig area. Our guests were satisfied as they said this is the best hotel for the money, also there's a jacuzzi on the rooftop of the hotel. The location is superb, it's nearby Umalas area and Batubelig area. Since tourists are pretty much going to this area now and then, it is advised to stay at this hotel as it's location near the Batubelig intersection so you can go pretty much anywhere. We were having this wedding in Canggu Area, but we want to accommodate our guests. Luckily, this place is around the corner from Umalas area, with all the cafe and restaurants nearby. Also, the place is really near to a branch of BCA bank, which is very convenient if you're looking for ATM or wanting to deposit your money. 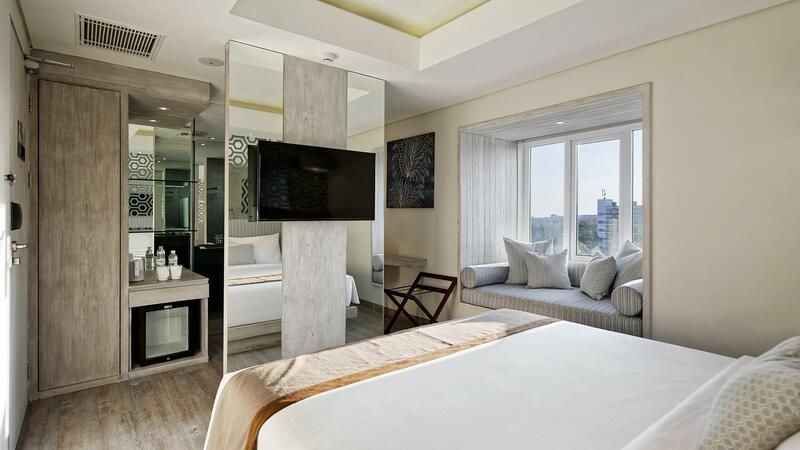 This hotel is perfect for business traveller as well. We stay here for 3 nights. I like the area nearby to anywhere around seminyak, only the car park very limited but they have valet service. So it doesn’t really matter. If u booked for superior premium please don’t choose room 217 and 216, because the view is other people rooftop, u can’t see anything else. The breakfast food is average but still good. But one think for sure the staff was really helpful, nice, friendly and kind. I made a mistake in booking the room and one of their receptionist Mr Ngurah patiently help me from the beginning till the problem was resolved. I come to Bali many times a year. But lately been coming here for business, so I have a budget to follow. Daun is the best! Its really value for money. You don't get what you pay for. In fact you get MORE than what you pay for. It's clean, staff are great and speak English well. Rooms are reasonably sized, a big bed. Location is great as there are many restaurants just to the left of the hotel. Stayed here 3 times in 6 months! Love it! Comfortable & Spacious room. Good location too. Value for money. Overall the hotel is good, tall enough to escape from the busy street. Though Seminyak is not so convenient and things are overpriced compare to Kuta. There are restaurant around the hotel but nothing special to try, have to take a taxi to grab some good food. The room is comfortable. It's simple but have a good ambiance. I don't have much time exploring around the area but it's located in a busy road, a little bit far from beach but still u can walk I guess. Friendly and helpful staff, dont ask me about the location, its perfect! Its like in the central of Legian - Seminyak - Canggu - Petitenget. The room also very comfortable, but I stayed on the 3rd floor, and in the morning at 7am while I still need a good rest, there was a VERY noisy voiced from a school across the street, then I just woke up and couldnt sleep anymore. I asked to the staff, and he said from Monday to Saturday there's a sport time at the school from 7-7.30am. So just be ready! But, actually i really enjoyed the hotel. Bali has always been our favourite relaxing getaway. Stayed in many different types of hotels and classes. This time round was an impromptu trip for work and we had to keep our budget low. And Daun Bali was the perfect choice! It was value for money and you get more than what you paid for! Good service, location , clean and spacious rooms and there was even quite a large pool ! Enjoyed our stay and will defintely stay here again. Close to many restaurant n cafes like Livingstone, Sardine and wonderful spa just diagonal across the street! The location of this hotel for its value is superb. Hotel is clean and staff are friendly. The only thing that bugged me was the poor service in the restaurant/food area. Coffee machine was broken a few times. Simple drinks like water/juice took a long time to be delivered etc. Our guests were looking a place to stay for our wedding. Hence, we actually put them here based on our experience! We are very satisfied with the hotel, and please, keep it up! We would like to stay in hotel with the same condition until 3 years after this! This hotel really worth every penny spent. With $30, I could get a semi 4 star hotel, with a really clean and very spacious room. the location is very close to all the famous spots (metis, shops around kayu aya, nook) Very recommended! 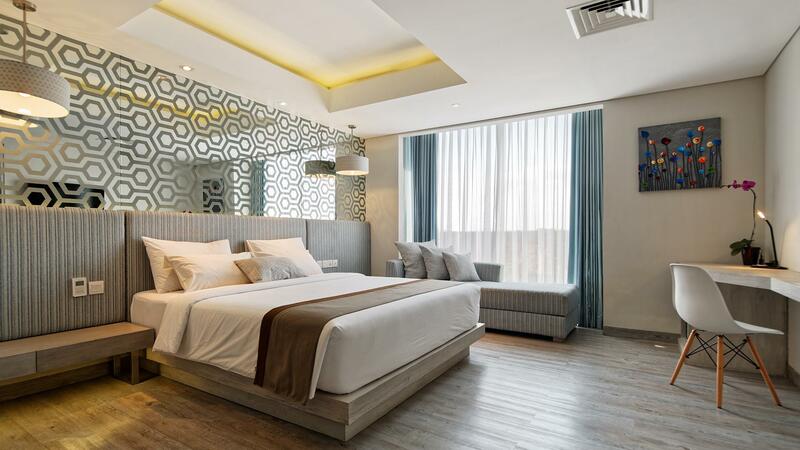 The Hotel is within walking distance to many good eateries such as Nook, Metis, Barbocoa which is good as you will not be stuck in the Seminyak traffic trying to get to places. You may rent an O bike from the Hotel too. We informed the hotel that it was our anniversary and the hotel even arranged flower petal decorations on the bed, very accommodating and great service ! Very good value for money in my opinion.